Ramadan is coming up and Alhamdullillah that we are alive to begin preparing for it. Coming up is another chance to earn Allah’s mercy, seek forgiveness for our sins and gather all the barakah that we possibly can. Alhamdullillah! Unfortunately, I missed fasting during Ramadan last year; I was too sick to even attempt to keep fasts. I was undergoing chemotherapy and my last session was a day before Eid. But the truth is that these fasts are not the only ones I have missed in my life. Thinking back, I have missed fasts in previous Ramadans, due to traveling, sickness or pregnancy. Some fasts are from a few years back that I have yet to complete. Yikes! That is a lot of fasts. Come on, grab a pencil, paper, and a calculator and follow along my simple method for counting missed fasts. We’ll then learn the rulings on when missing fasts is allowed, and explore the various ways in which we can make them up to get make up as many of them as we can before Ramadan, in sha Allah. Alhamdulillah, Allah grants us concessions when we are traveling, sick or pregnant, but fasting during Ramadan is obligatory, so we must make up these missed fasts as soon as possible, preferably before the next Ramadan begins. Reminding ourselves of this will renew our intention and make us firm in our aim. If of course, like me, you have missed fasts from many previous years, the first step is to secure your intention to make them up and then count the missed fasts. 2. In a vertical list, make rows, writing down the year from which you officially started fasting (the year menstruation began) and end the list at 2014. 3. Now, before we begin calculating the number of missed days, it would help to remind ourselves of the situations that make it permissible to skip fasting during Ramadan. This will refresh our memory and remind us of any circumstances we have faced in past Ramadans that we might have forgotten about. So, with these in mind, start with the most recent year (as it will be the freshest in your mind) and recall if you faced any of these circumstances and write the number of missed days in 2014. For me, it would be 30. So in the column for “Completed Fasts”, I put 0; for “Missed Fasts”, I put 30 and for “Reasons for Missed Fasts”, I put sickness. Following these steps, work backwards, thinking of all the reasons that excuse one from fasting and fill in each column. If you didn’t fast during Ramadan due to pregnancy, then simply write the number of days corresponding to the year of birth of your children, with the same method being applied to any years that you were breastfeeding. What if you don’t know exactly how many fasts you have missed in the past year? If you are counting fasts missed from many years, it may be difficult to remember how many you missed and why. In this case, you need to think hard and estimate the most likely number of fasts that you have missed. Generally, sisters are aware of fasts they miss due to menstruation, so these should be fairly easy to remember. 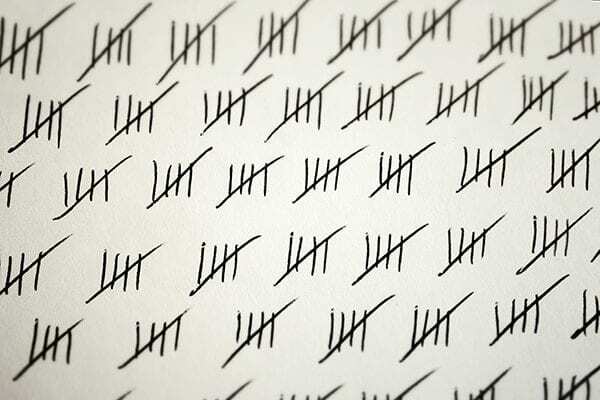 So, have you finished counting the number of days you did not fast? Does it look like it’s a lot? Well, mine looks overwhelming too! Let’s begin preparing our game plan on how to reduce this number, in sha Allah. It’s important to remember that it would help to start with small, manageable goals rather than big ones, as the latter have a greater chance of failing. When I finished chemotherapy and started getting better, I planned to complete missed fasts during the following December, so that all my missed fasts for 2014 would at least be completed. But I was in for a huge disappointment. I couldn’t do it. And I blame my failure on my “big” plans more than my health. Had I made small goals and started sooner, I would have been able to manage them! Fasting and managing normal life is so much easier in Ramadan, due to the atmosphere of Ramadan, everyone around us is fasting and of course, because the month of Ramadan is filled with Allah’s blessings! So during the year, if we begin with a focused approach and planning, fasting will not only be easy, but also enjoyable. 1. Mark the days on the calendar in which you plan to fast: Begin now and continue even after Ramadan ends. Fast in small manageable chunks (2 or 3 days a week), to develop a solid routine where you check off fasts that you have made up. Planning in advance will also give you a heads up so you can plan your groceries, cooking and appointments accordingly. 2. Grab a lunar (Islamic) and a solar (Gregorian) calendar: Mark the days on the solar calendar that coincide with al ayyam al beed, the white days (13, 14, 15th of each Islamic month) in the lunar calendar and also prioritise fasting on Mondays and Thursdays, in accordance with the Prophet’s sunnah. 3. Get your dua book ready: This is something that I would really like to do this Ramadan. In this dua book, write down all the duas that you want to make in your own language, for yourself, spouse, children, parents, friends, cousins, the ummah, mankind, any issue that is troubling you and something that you really want. Organize recommended duas from the Qur’an and Sunnah so that you become familiar with them now until they are second nature to you during Ramadan. Try to go through these duas after praying tahhajjud, after salah, on Jumu’ah and after iftar, as duas are readily accepted at these times. 4. Create a “Make Up Missed Fasts” club: This can be easily created both virtually (via Whatsapp groups, Facebook groups etc) and physically in person (with your mother, sisters or friends). Ask sisters whom you know if they also want to make up their fasts. It is so encouraging when others are doing it too; you can motivate each other by taking turns to wake the others for suhoor, check up on how fasting is going, and send duas at Iftar time. You will feel a real sense of sisterhood, In sha Allah! Now you are ready to begin fasting! The ideal time to make up fasts is during the winter months when the day is shorter. Of course, that is past now, and summer is well and truly settling in. Take this opportunity to get a hang of fasting in Ramadan, as the timings now will be very similar. Depending on your routine and engagements, you can either fast for a week consecutively or you can break it up and fast on the days mentioned earlier. As you start fasting, keep a tally on the number of fasts in the fifth column of the table titled ‘Done’, starting with 2014 and moving backwards. Does it all seem a tad overwhelming to you too? Sometimes when I see my list, it seems just so daunting and I ask myself, “how can I do it?” I don’t really want to die with any fasts pending in my account. But you and I should not and cannot think like this! As long as we really want to do it, Allah will make it easy for us. It may take many months to complete missed fasts from the previous years, but we just need to keep going. Either we succeed or die trying, together in sha Allah. So come along dear sisters, grab your pens, paper, calendars and du’a books and get to work! May Allah accept our fasts from us and make them easy for us, ameen.